Flight Data Recorders (Black Boxes) sonar-ping ... for future consideration. The 30-day limit in which the 'Black Boxes' must be found (after which the signal stops) puts a lot of pressure on any SAR personnel. Unless the Black Boxes are found quickly, within a matter of a few days, battery power is wasted. Maybe the aviation industry should look at marine science for inspiration on this. Couldn't the Black Boxes stop transmitting their regular signals after, say, three or even five days. The Black Boxes would then switch to a 'Listening-Mode' to conserve battery power. They would resume transmitting signals as soon as a coded (search) signal is sent to the Black Boxes. This kind of technology works and is in relative common use. I have personally seen it when technicians on behalf of the Woods Hole Oceanographic Institution retrieved buoys that were anchored to the sea floor in 2,000 metres plus, for a year; in fact, in the most southern parts of the Indian Ocean. The ship travels to the exact coordinates where the buoy was deployed and a signal is then sent to it. If the location is correct, the buoy will 'Wake Up' and answers with its coded pings. The ship may then have to relocate slightly for best reception, i.e. to be as close as possible to the correct position. When good contact is established, a signal is sent to the buoy which will then release itself off the ocean floor and drift to the surface. It then takes an hour or more (depending on the depth) before the buoy arrives on the surface. Even though the floats are still bright yellow after all that time, and at least the size of a 200 litre (44 gall) drum, it is still very hard to spot and find them in the rough water. Black Boxes, when submerged, should stop transmitting after about three days, to preserve battery power. They then enter a 'Listening-Mode'. The Black Boxes will resume signal-transmission when contacted by a search signal. Contradiction: timeprint of Pings, speed and area of crash: impossible ? Well, now they tell us, MH370 was much more fast, did though arrive much earlier in the south - hmmm... Ok.
At the same time, they tell us that because of that, they consumed more fuel... Ok, that's just logic. BUT: if this would have been the case, the PINGS would have stopped MUCH MORE EARLIER, because they crashed much more earlier! THAT is absolutely logic ! So - they are telling us SURELY NOT THE TRUTH ! For me, this is as honest and as true as the story of sadams "weapons of mass destruction" or the "Tonkin" affair... or lots of other purely invented fairy tales . sorry, I am not convinced... Just the opposite.. The search for the answer to what happened to MH370 starts here - in a high-tech satellite center in Tromsø, Norway . From Kongsberg Satellite Services' (Kst) headquarters in the Arctic they are downloading around the clock massive amounts of data from satellites orbiting the earth. Among the images that have passed through the Norwegian center, are the very first images of what could be wreckage from the missing Boeing 777 aircraft outside Australia. 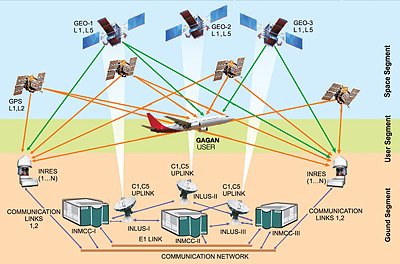 - We download data from satellites and sends it on to our customers. They analyze the images, to see what they show, said Deputy Jan Petter Pedersen Kst VG. The images that were downloaded in Tromsø allowed the search areas to be narrrowed down about a week ago. - They are optical satellites with sophisticated cameras that can see details down to one meter of sea level, says Pedersen. - which radars were powered up and operational that night? In the proposal I made some days ago based on the analysis of the only radar plot I know of ("Military radar from Pulau Perak to last plot at 02;22H"). I assume the radar in question was located close to sea level on Butterworth AB. The one I found is located at 5 27.737N 100 23.233E with an 18 ft radome. The problem with that radar, as I explained before, is that it will have poor performance when trying to detect low flying targets because of the earth curvature and terrain masking in its southeastern sector. In various news reports, I could only find references to Butterworth AB and Kota Bharu radar. The Kota Bharu radar is on the airport next to the runwy at 6 9.819N 102 17.621E on a metal tower. I assume it is a civilian radar only. - the first one is on the island of Pulau Pinang, 8 miles SW of Buterworth AB at 5 25.478N 100 15.052N. approx alt. 2700ft, 58ft radome. - the second one is 28nm SE of Kota Bharu at 5 47.148N 102 30.264E, approx alt 560ft, 70ft radome. - If they were operating and if their raw data was logged even if the associated military centers were not manned during the night (someone mentioned that on a blog but I can't find that quote again), then I believe that MH370 could not have flown westbound across Malaysia without being tracked often, even at low altitude. - if RMAF did not record their primary data, then a well planned, low altitude flight across Malaysia followed by a sea skimming (1,000ft?) flight over the Strait of Malacca until reaching the 285 radial from Butterworth, 36nm out, would have made MH370 essentially invisible during that period. That radar is not in Malaysia but in southern Thailand near Hat Yai. There is one civilian radar on airport grounds but that is not the one I am talking about. The interesting one is 11nm to the SW at 6 50.633N 100 25.197E, alt 1,000ft, 52ft radome. "Air Vice Marshal Montol Suchookorn of the Royal Thai Air Force said an unidentified aircraft was detected at 1.28am, eight minutes after MH370'S transponder stopped communicating. He said the plane was following a twisting path, turning towards Butterworth, a Malaysian city along the Strait of Malacca. The radar signal was infrequent and did not include any data such as the flight number." If Hat Yai detected MH370 when Butterworth first saw it west of Penang, 36nm out, it would imply that MH370 was at or above 4,000ft MSL (86nm => approx 5,000ft min lat -1,000ft gain from the radar altitude). And when I say "or above" I don't mean 10,000ft above. I assume that with its radar cross section, a 777 should give a strong echo even just slightly above the grazing angle. If the radar returns were flaky it has to mean that the airplane was near the altitude detection threshold for that distance. Altitude estimates at shallow angles are expected to have a large margin of error so I don't expect to ever see them. We can do without them anyway. But if RMAF and RTAF could provide the positions with time stamps of what they saw, we might be able to build a strong case for the low altitude hypothesis and the second climb to cruise west of Penang. Were I one of your US Navy colleagues, my umbrage would not be with Pihero's intransigence, but would be with you for representing yourself and your peers in such a poor light. I'm beginning to think, with my conspiracy hat on, that certain new members to a.net since the disappearance of MH370 are plants put on forums like a.net to intentionally disrupt, distract and confuse. That aside, I am finding this in depth discussion fascinating and, whilst restraining from contributing, I appreciate the efforts of those who have. More psychological tidbits: UK tabloid the Mirror says today that both daughter and wife are saying the Captain was disturbed and distant in the months leading up to the flight. Retreated into a shell. So if corroborated by something other than a UK Tabloid newspaper, that HAS to push the lone crazed Captain theory way out ahead of any other. British secret services are investigating the disappearance of flight MH370, Malaysia's transport minister said on Saturday. The disclosure that MI6 as well as the CIA are helping the Malaysian authorities will add to speculation the aircraft was hijacked by terrorists. Hope was growing among the search teams on Saturday night that a part of the wreckage might finally have been found, three weeks after the plane vanished. A photograph of an object floating in the southern Indian Ocean was taken by a Royal New Zealand Air Force plane which has been combing the seas for clues. Ships have been sent to find the object as one expert warned that it could be part of the equipment found on a shipping trawler. The New Zealand image followed a few hours after Chinese and Australian teams reported seeing possible debris from the plane in the same area. Until now, all possible debris has proved not to be connected to the missing passenger jet. As the reports emerged, attention turned again to what might have caused the plane to vanish. Hishammuddin Hussein, Malaysia's acting transport minister, said on Saturday that MI6 and the CIA were working with Chinese spy agencies to determine what happened to the 239 passengers and crew aboard the Boeing 777. Mr Hishammuddin stopped short of plumping for one theory over any other. He said the disappearance was due to "terrorism, hijacking, personal and psychological problems, or technical failure". "These scenarios have been discussed at length with different intelligence agencies," he said. Crash investigators believe the disappearance of the plane and the decision to disable the communications system appear to have been deliberate. But they have found no evidence of a motive. MI6 is understood to have helped with extensive background checks on each of the 239 passengers and crew on the plane but nothing suspicious has emerged. Mr Hishammuddin said MI6 was also examining "pings" emitted by the plane which are being used to plot its route over the seven hours after its communications systems were disabled. "Now that we are talking about satellite data and imagery, the CIA has been on board, Chinese intelligence has been on board, MI6 has been on board," Mr Hishammuddin said. The Malaysia Airlines flight vanished off radar screens on its flight from Kuala Lumpur to Beijing more than three weeks ago. An explanation for its disappearance has so far proved elusive. The plane turned wildly off course, its communications systems were "deliberately" disconnected and it carried on flying south over the Indian Ocean. It is thought to have run out of fuel and crashed into the sea off Australia. The suggestion that intelligence agencies are involved will renew speculation that its disappearance was a criminal act, not mechanical failure. The Malaysian police investigation has centred on MH370's pilot Zaharie Ahmad Shah. But an examination of a flight simulator seized from his home has uncovered "nothing sinister", Mr Hishammuddin said. Zaharie, 53, a father of three and a veteran pilot, used the simulator to play games. The different theories have done nothing to ease the anguish of families. American lawyers acting for the family of a missing passenger believe the disappearance has been caused by some form of mechanical failure. Both Boeing and Malaysia Airlines are facing legal demands to disclose what they knew of those possible faults. "We are working on the theory that it is a design defect," said Monica Kelly, a US attorney acting on behalf of Januarai Siregar, whose son, Firman, was on the flight. The "Petition for Discovery", lodged in the Circuit Court of Cook County, Illinois, is intended to force both Boeing and Malaysia to release all the material they hold on the aircraft. Until now both Boeing and Malaysia Airlines have steadfastly refused to comment on what may have caused the plane to disappear. But details of several incidents involving other Boeing 777s have emerged, including a cockpit fire at Cairo Airport in July 2011. Although passengers and crew were moved to safety, investigators found that the blaze was caused by a short circuit igniting an oxygen pipe. Regulators in America and Europe issued a directive ordering the replacement of the oxygen pipes. The work is estimated to cost about £1500 ($2698) to put right but last week Malaysia Airlines refused to say if the work was done. A spokesman said: "All mandatory orders issued by aviation authorities relating to aircraft in our fleet have been complied with by Malaysia Airlines." In the court petition, Mr Firman's lawyers, have demanded details of who designed and manufactured the oxygen system. It has also demanded Boeing release documents showing who had information "of the evidence of findings of corrosion and fractures in the fuselage of the aircraft". The petition has also demanded Boeing provides details of who was responsible for servicing the plane. Malaysia Airlines in turn is facing a demand to say who was responsible for training and carrying out psychological evaluations of the crew. A Chinese surveillance plane on Friday spotted three objects - coloured white, red and orange - in a new zone west of Perth. An Australian P3 Orion spotted further items. Though the colours of the objects appeared to match Malaysia Airlines' colours, the source of the objects has yet to be identified. Several small objects spotted on Friday were picked up by Australian and Chinese ships and were found to be unrelated to the plane. Like many, I have been following the mysterious disappearance of Malaysia Airlines Flight 370. And from my background, the first question that came to mind deals was the weather conditions experienced by the the 777 aircraft that night. Although modern aircraft are highly robust in most weather conditions, a recent mid-ocean crash ( Air France occurred during strong thunderstorm activity and thus it is important to at least cross weather impacts off the list of potential contributing factors. My money is solidly on the hijack/mech. problems theories (2-3) - I can't imagine a pilot of the 'stature' of Captain Shah taking over 200 innocent people with him, even if he really wanted to die. It would have 'flown in the face' of his whole career. For once we agree! And as time goes by and as background checks on the passengers progress and as it will be relatively easy to find potential terrorists when you know where to look, I find 3 increasingly more likely than 2. Did any jounalist ask wether one of the pilots or a passenger (I know the passengers are cleared of any guilt since yesterday) left his family with a very high life insurance? If not the journalists are stupid. And if they did what was the answer? If it was along the lines of "we are still investigating" then you know the authorities indeed must be hiding something because any internee would have found that out by now. Another few days and the pings will end...making the search more complicated. The pingers are guaranteed to emit a signal for a *minimum* of 30 days. They may emit for longer, but not for shorter. They'd already be at about half-power by now, so it's already more complicated. Something is fishy... You can't just lose a B777 unless you want it to be disappeared. The Straits Times is reporting that a Chinese vessel searching for MH370 has discovered a pulse signal with a frequency of 37.5kHz per second in the Indian Ocean, citing the official Chinese news agency Xinhua as its source (but emphasising the report is unconfirmed at this stage). Just in. @malaysiakini: BREAKING: Black box detector on board China's Haixun-01 detects pulse signals with frequency 37.5kHz/sec. Unconfirmed if linked to MH370. Up to 10 military planes, three civil jets and 11 ships will assist in today's search for missing Malaysia Airlines flight MH370. Today ADV Ocean Shield and HMS Echo continue underwater search operations. The Australian Maritime Safety Authority has determined a search area of about 217,000 square kilometres, 1700 kilometres north west of Perth. Today's search area will focus on three areas within the same vicinity. The weather forecast for today's search is fair, with possible showers in the search area. The Australian Transport Safety Bureau continues to refine the area where the aircraft entered the water based on continuing ground-breaking and multi-disciplinary technical analysis of satellite communication and aircraft performance, passed from the international air crash investigative team comprising analysts from Malaysia, the United States, the UK, China and Australia. The only information we have, is the one provided by Inmarsat and Malaysian Military radars in North Malaysia. Based on these two sources of Information, the plane flew for at least 5 hours after leaving Malaysian air space and disconnecting from Malaysian Airport Authority. It changed the route to North Malaysia. At North West of Malaysia changed the route towards the south to the middle of the Ocean. After they disconnected from Malaysian Airport Authority, they put off communication and ID signals and flew lower. Let us to make a sense of the all clues. Their destination was the middle of Indian Ocean. So why they took the long route through an arc over the North Malaysia? Why they didn't take a short cut at a straight line flight over Malaysia and Indonesia to the Indian Ocean? It was a lot quicker and could have travelled a lot longer. The answer is elementary. They did that to avoid detection. But why you drive a jumbo jet to the middle of an ocean in a manner to avoid detection? You do that because you want to execute a high priority top secret mission, no one must know it apart from those involved, you have kiddnapped over 100 Chinese Nationals and no one dares to mess with China. But why you drive a jumbo jet to the middle of the ocean to execute a high priority top secret mission, you will drop dead into the bottom of the sea? Because there is some thing like a ship or a submarine is waiting to receive you. So the conclusion is elementary. The flight was hijacked. The hijackers were highly trained and skilled to handle all the issues of the flight and got what they wanted. They must have skills and stamina a lot higher than USA Navey seal or British SAS. This is a state sponsort hijack. They have not left any clues behind. They must have also made the black box useless. This has been done in a maner to eradicate all clues. No one wants to be suspected opf this hijack. It includes kidnapping of over 100 Chinese Nationals and no one dares to mess with China. Navy divers have been searching for parts of the missing Malaysia Airlines plane in the area where a signal was picked up. The Ocean Shield ship picked up the signal twice, once for more than two hours, said Angus Houston, the retired air chief marshal leading the search. He called it the "most promising lead" so far. The plane, carrying 239 people, was flying from Kuala Lumpur to Beijing on 8 March when it disappeared. Commander Marks of US naval 7th fleet : " We are less optimistic now then we were 12 hours ago. Over the last 12 hours we have been unable to re-aquire the signal with the pinger locater. Our optimism is diminished but we are still hopeful."